One morning 20 years ago, Alec Jeffreys stumbled upon DNA fingerprinting, identifying the patterns of genetic material that are unique to almost every individual. The discovery revolutionized everything from criminal investigations to family law. Jeffreys is still awed, and a bit worried, by the power of the technology he unleashed upon the world. "I think there are potentially major issues about genetic privacy," Jeffreys said Wednesday at a press briefing to mark the 20th anniversary of the discovery on Sept. 10, 1984. The ability to identify patterns within DNA that are unique to each individual - except identical twins, who share the same pattern - has been used to convict murderers and clear those wrongly accused, to identify the victims of war and settle paternity disputes. It also proved that Dolly, the world's first cloned mammal, really was a genetic copy of another sheep. Jeffreys, a professor of genetics at the University of Leicester in central England, said he and his colleagues made the discovery by accident while tracking genetic variations. One Monday at 9:05 a.m., they produced the first genetic fingerprints, maps of sequences within the strands of DNA that varied from person to person. "Suddenly I could see the potential for individual identification," said Jeffreys, now 54. "It was a question of the penny dropping very quickly. "By 10 o'clock, we were frantically running around the lab thinking of all sorts of possible applications." Within six months, genetic fingerprinting had been used in an immigration case, to prove that a Ghanaian boy really was his parents' son. In 1986, it was used for the first time in a British criminal case, clearing a suspect of two rapes and murders and helping convict another man. In the early 1990s, Jeffreys and his team were called in to identify remains buried in Brazil as those of the Nazi war criminal Josef Mengele. DNA testing is now so common, Jeffreys said, that a judge he met recently was "enormously excited because he was trying a case in which there was no DNA evidence." In Britain, a national criminal database established in 1995 now contains 2.5 million DNA samples. Countries including the United States and Canada are developing similar systems. 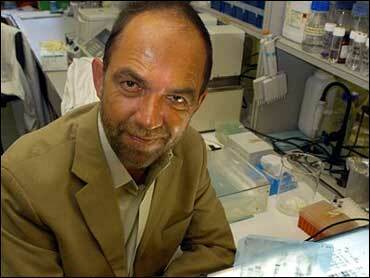 Jeffreys, who was knighted in 1994, welcomes DNA databases but has qualms about how the British one has been set up. He fears stored DNA samples could be used to extract information about a person's medical history, ethnic origin or psychological profile. And he opposes the practice, approved by a British court in 2002, of retaining DNA samples from suspects who are acquitted, leading to a "criminal" database that contains many people guilty of no crime. "My view is, that is discriminatory," Jeffreys said. "It works on a premise that the suspect population, even if innocent, is more likely to offend in the future." Jeffreys advocates a truly national database including every individual, with strict restrictions on what information could be stored. "There is the long-term risk that people can get into these samples and start teasing out additional information" about a person's paternity or risk of disease, he said. "The police have absolutely no right to that sort of information." Jeffreys estimates the probability of two individuals' DNA profiles matching in the most commonly used tests at between one in a billion or one in a trillion, "which sounds very good indeed until you start thinking about large DNA databases." In a database of 2.5 million people, a one-in-a-billion probability becomes a one-in-400 chance of at least one match. Despite his misgivings, Jeffreys believes the technology has done far more good than harm. "I'm absolutely overawed at how this technology has spread. We saw it has a pipe dream in 1984," he said. "In terms of DNA touching people's lives, DNA fingerprinting is probably the most important thing to come out of the discovery of the double helix."